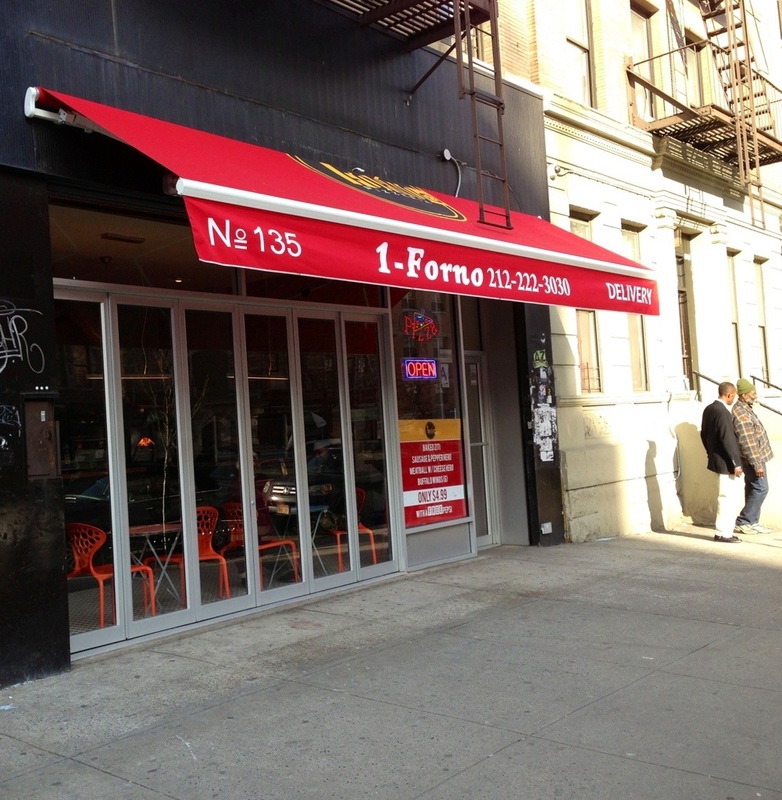 1Forno Pizzeria in Harlem joins the red awning club | HarlemGal Inc. Most of the Harlem businesses love the color red when it comes to their outdoor awnings with signage, such as Red Rooster Harlem, Harlem Food Bar, Cedric French Bistro, etc. 1Forno Pizzeria at 135 West 116th Street near Lenox Avenue decided to do the same and has installed a big bright red awning with their logo, phone number and address. I walked by the pizza place yesterday (March 10) and noticed the signage. I also noticed in the new awning the Harlem pizza place goes by the name 1Forno Pizzeria, instead of Il Forno. 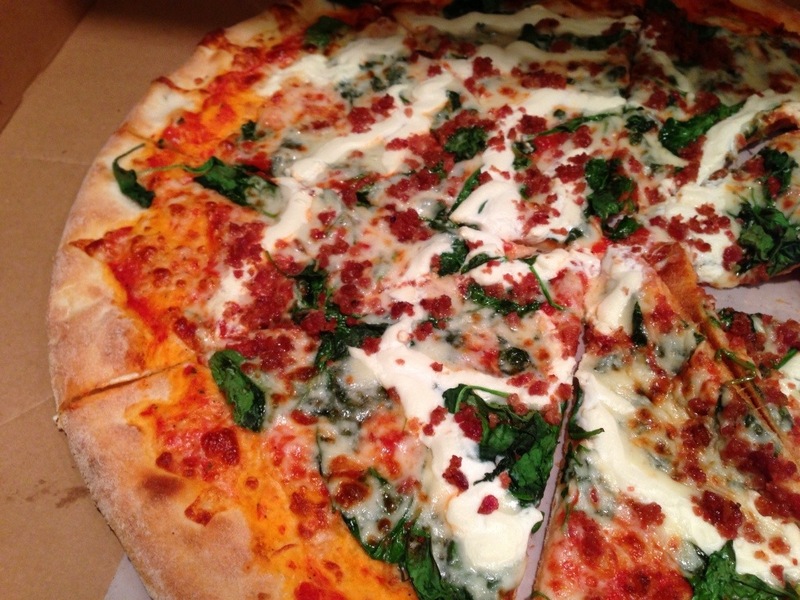 If you haven’t tried a pie or a slice of pizza from 1Forno on 116th Street, give it a try. I order from them all the time and love that one can create their own toppings from a varied list of toppings! 1Forno also gets good reviews on Yelp. See contact details below. This entry was posted in 116th Street, 1Forno Pizzeria Harlem, business, Cedric French Bistro and Bar Harlem, food, Harlem, Harlem blogs, Harlem Food Bar, Harlem Restaurant Row, Il Forno Pizza and Salad Harlem, Red Rooster Harlem, restaurant row, restaurants and tagged 135 West 116th Street, 1Forno, 1Forno Pizzeria Harlem, Food, Harlem, Harlem Blogs, Harlem Food Bar, Harlem Restaurants, Il Forno, Il Forno Harlem, Pizza, Red Rooster Harlem, restaurants, Slice of pizza, West 116th Street, wood oven pizza. Bookmark the permalink.